So excited because I've never made fries before and lately I was craving for French fries a lot as I can’t remember what my last time I had them. 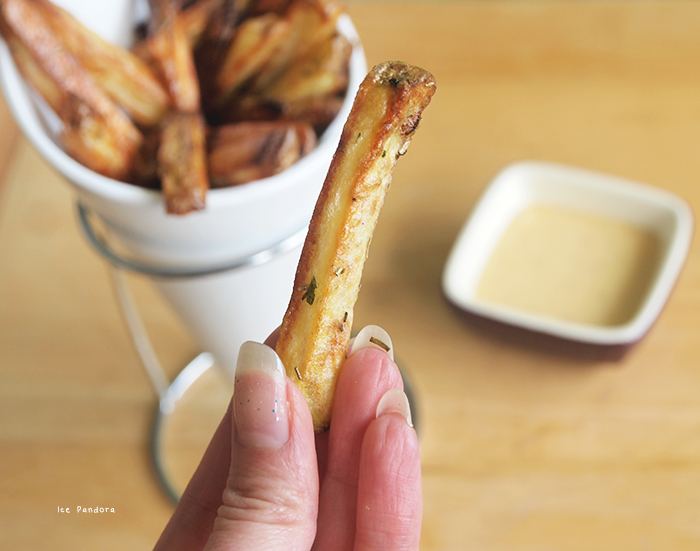 After reading a few recipes here and there I decided to give it a go and chosen a healthier option: baked seasoned French fries with skin! I was also feeling challenged and adventurous enough to make my own mayonnaise because what are fries without sauce right? Even though mayo is not my favourite sauce, I still want to understand the base of making good sauces. 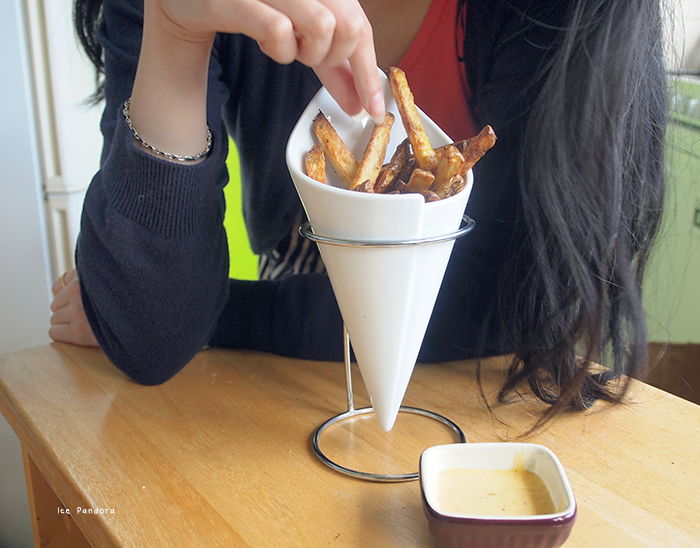 And never thought making homemade French fries would be this easy. And I never thought making mayonnaise would lose my right arm. I hope you try out this easy recipe! Vandaag laat ik zien hoe je Franse frietjes (met huid) uit de oven en mayonaise moet maken! Ik had spontaan trek in friet en heb nog nooit friet gemaakt en het stond al vrij lang op mijn ‘bucketlist’. Dus ik dacht ‘gaan met die banaan’! En wat is friet zonder mayonaise? Hoewel mayonaise niet mijn favoriete saus is, wil ik deze heel graag maken en deze beheersen. Ik voelde me nogal uitgedaagd na het zien van vele kookprogramma’s op tv! Wat ik heb geleerd: friet maken is een ei. Mayonaise daarin tegen ook maar je verliest wel je arm. Wil je weten waarom? Ik zeg probeer dit receptje uit! 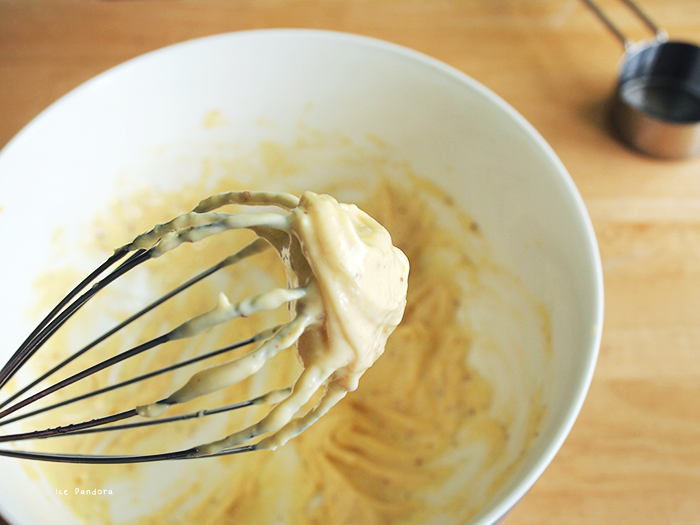 My right arm was really soar after all the whisking but it sure was a work out! And I didn't want to wash up. First of all, after it came out of the oven it smells so so góóód! Like ugh. One of the best home lunches ever. 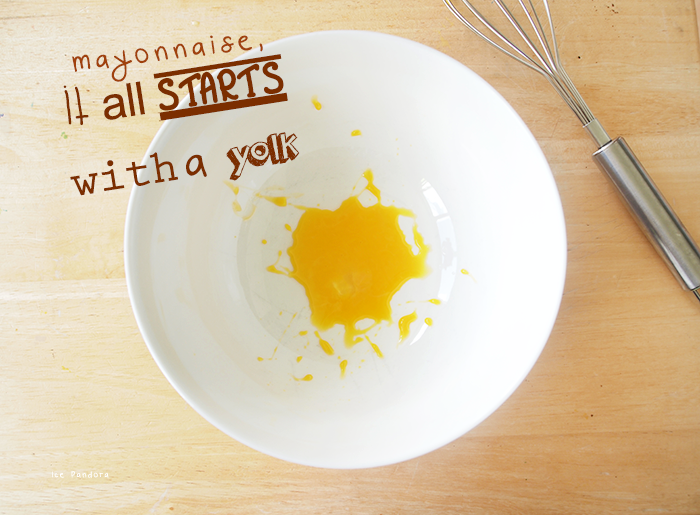 Whisk egg yolk with mustard (I've used the Dutch 'Zaanse' mustard). Adding the oil: careful! 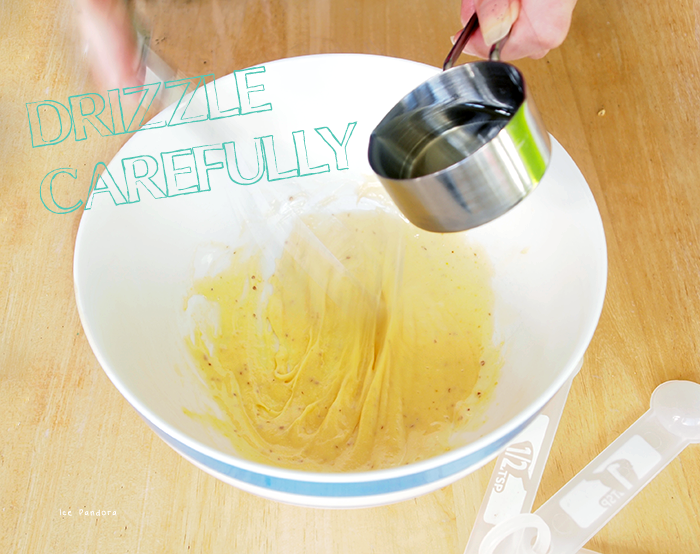 Just let a few drops first and slowly and keep on whisking the egg. After a while the egg will turn a bit pale and thickens up. 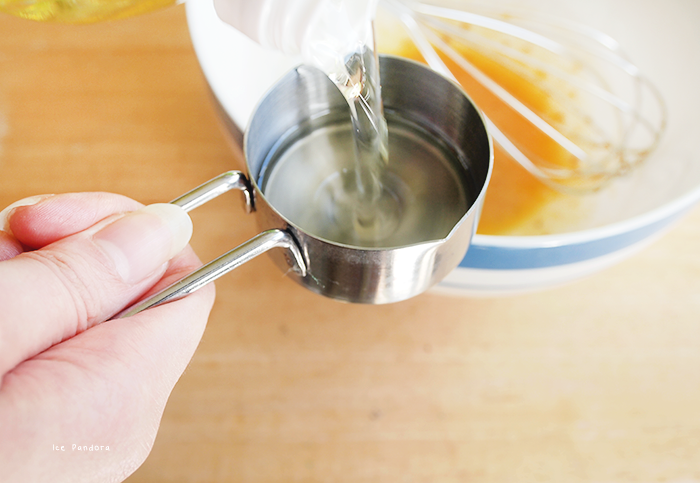 Keep adding oil in small amount to the egg! You don't want the egg to split. 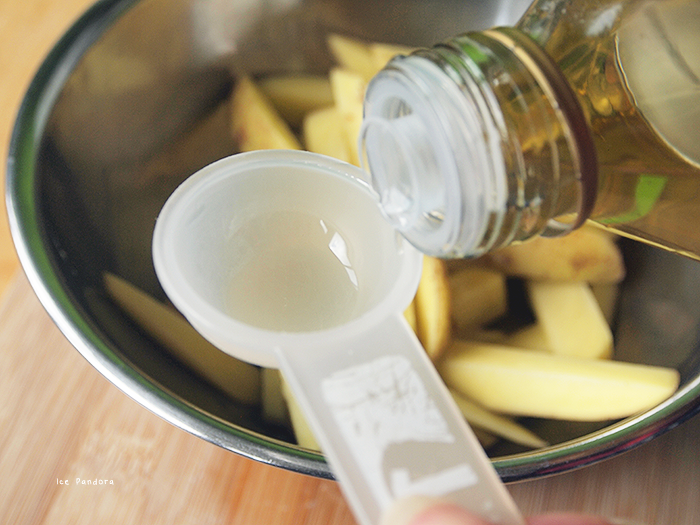 After the base has thicken up, add the seasoning: salt, pepper, vinegar, lemon juice and sugar. Combine well! Now your mayo is done! You might want to rest in the fridge until you use it. Pre-heat oven to 230°C. 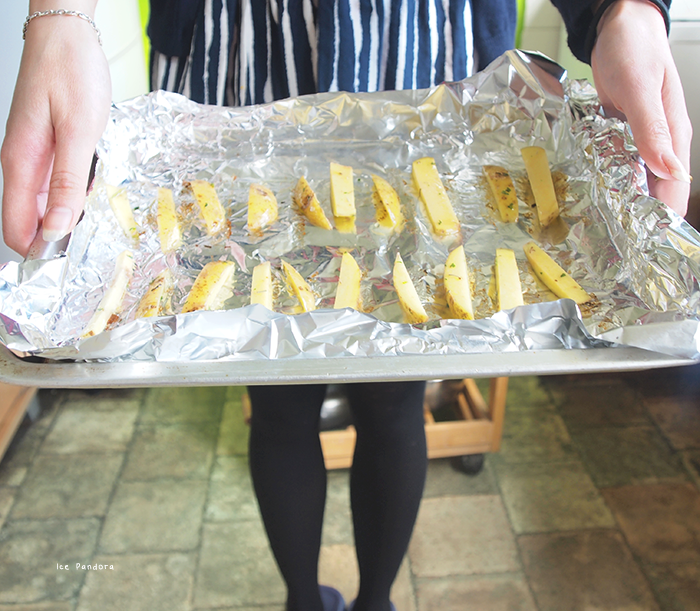 Get a baking tray ready and coat it with foil. 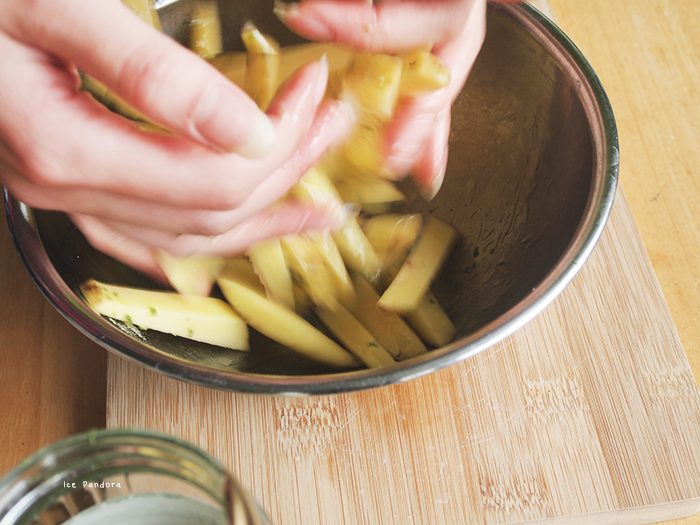 Remove dirt and wash the potatoes thoroughly. 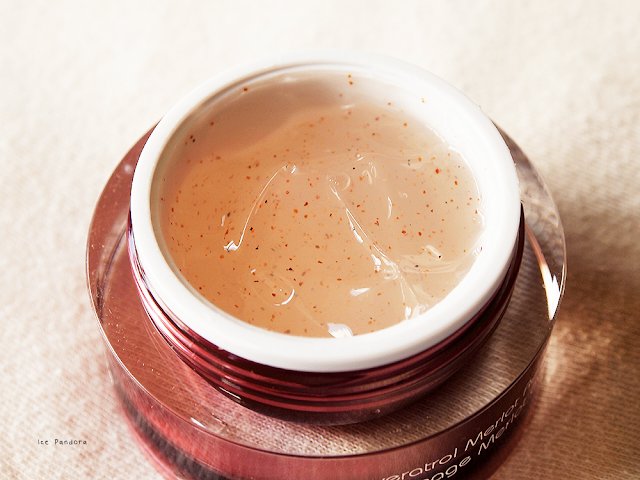 If you want to peel of the skin feel free to do it. 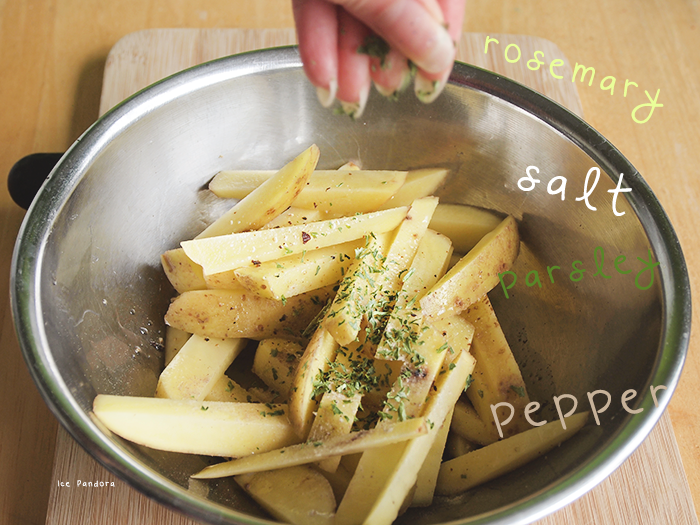 Cut the potatoes in any desired shapes/slices/thickness. Put them into a bowl and add in the 2 tbsp. oil, salt, pepper, rosemary and parsley. Combine them well! 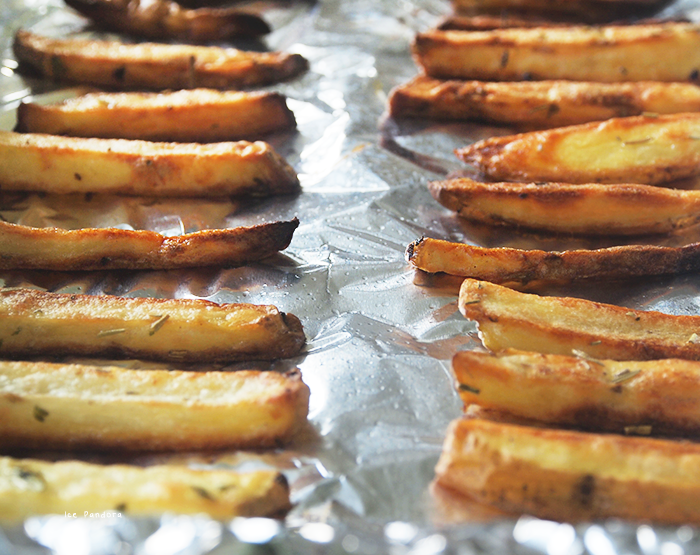 Place the fries on the baking tray, next to each other. Awww (^3^), mouth-watering*°...and please use something like a kitchen-aid machine for whisking - would be healthier for your arm ( °_°)b - nevertheless, belated bon appétit! those look deeeelicious. 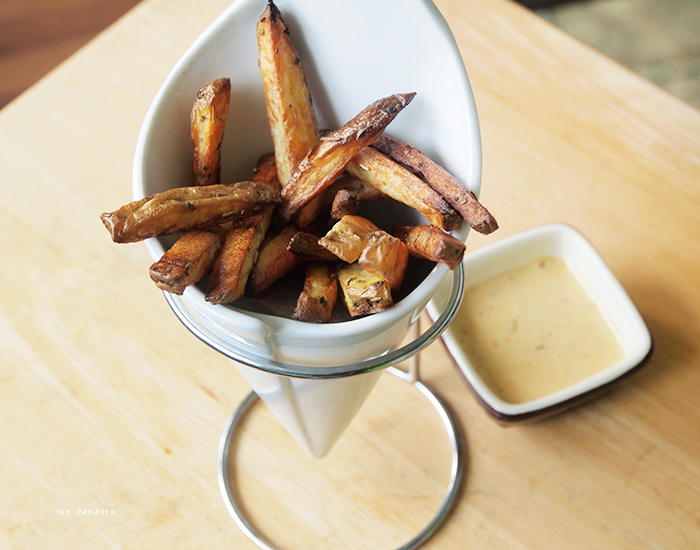 i make baked french fries all the time. so easy right? never tried mayo though, yours looks delicious! Ohh yum! So Dutch, haha. I've never tried making mayonnaise myself before, it looks like hard work. 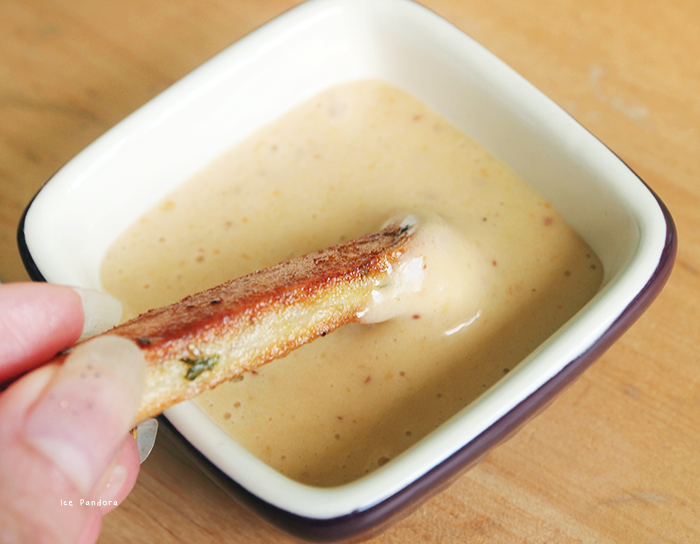 What I like to do is mix a bit of roasted garlic into my mayonnaise, it tastes really good. Ive always wanted to make my own mayonnaise, however I haven't ever wanted to tire my right arm out just for it. 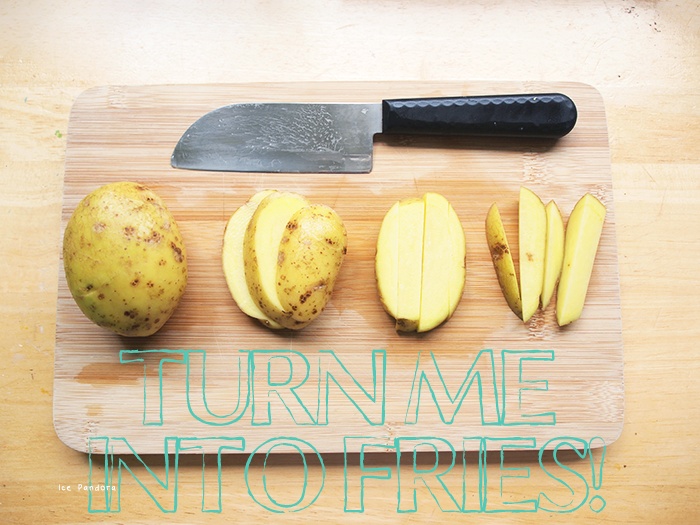 But maybe one dya, and follow your fries recipe too. 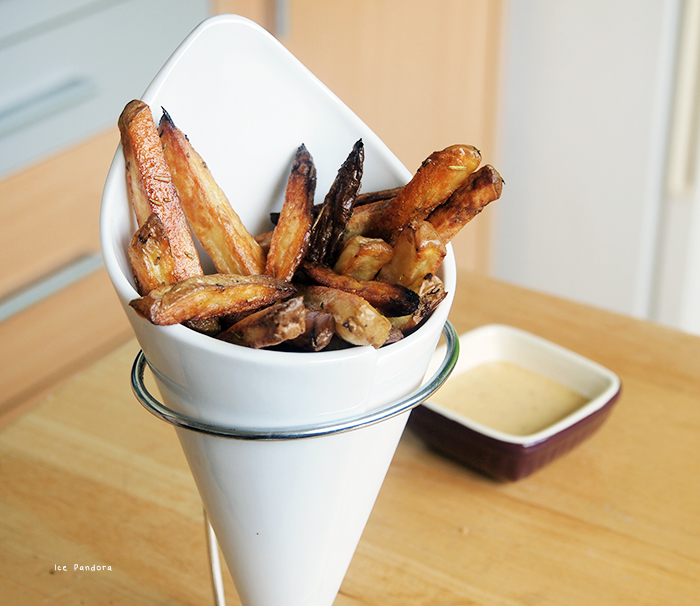 It's been more than 5 years since I made my own french fries...this makes me wanna make them, especially since this recipe seems to be faster than the one I had years ago. those look yummy have you tried to make sweet potato? Ik heb de afgelopen week zoete aardappelfrietjes lopen bakken, maar die waren zeker niet zo goed als die van jou! Wow, great post recipe post! The pictures and the explanations make it very easy to follow. 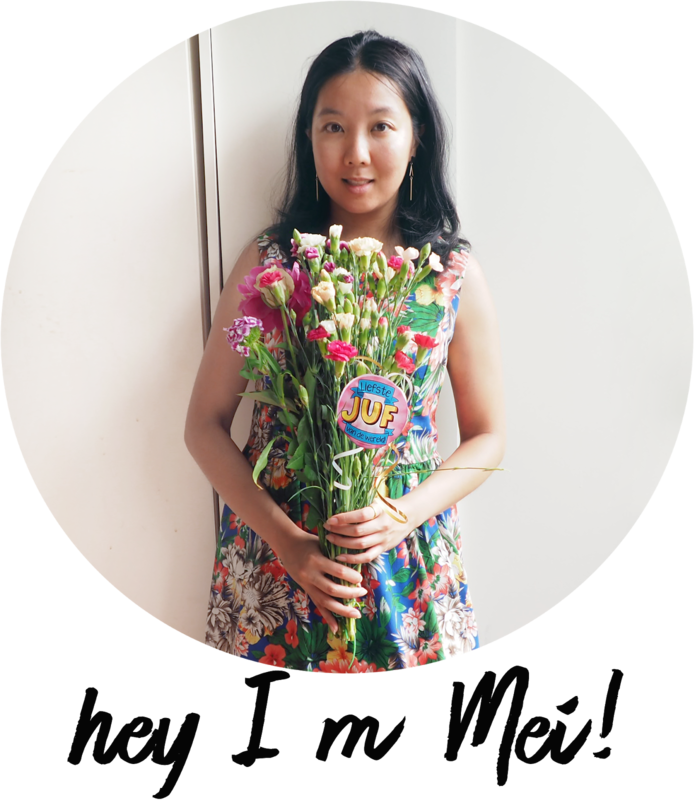 Better than most food blogs I've actually read lol. Looks good too btw!